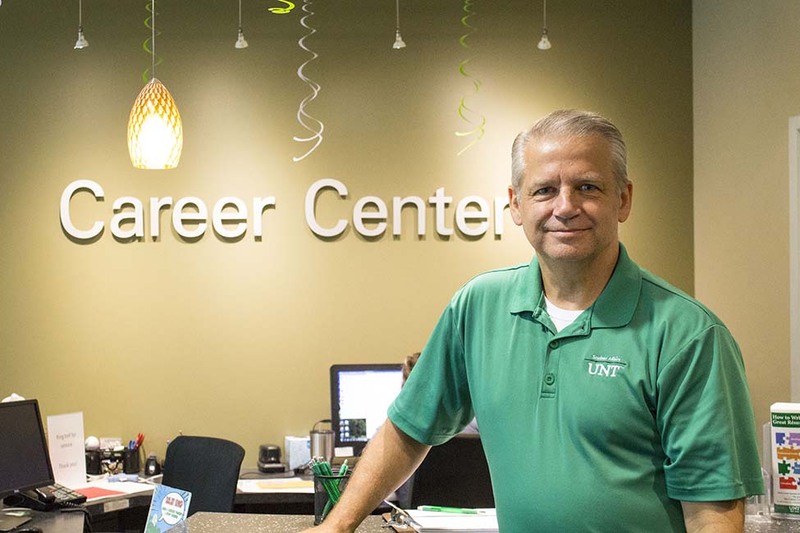 Dan Naegeli, executive director for career and leadership development in the UNT Division of Student Affairs, will once again be taking the reins as director for the Career Center. Naegeli previously served as director from 2003 to 2013 and was instrumental in developing partnerships between UNT and numerous employers to provide UNT students with employment opportunities. His work with Career Connect and High School Career Connect will both continue to be important roles for him. The Career Center consists of 25 full-time staff that are divided among career advising, employer development, employer services, student employment and operations. The Career Advising team meets with students to discuss deciding on a major, career exploration and job search techniques. They meet with students individually or offer small group presentations, classroom discussions/presentations and student organization presentations. The Employer Development and Services teams hold approximately 14 career fairs throughout the year for various businesses to recruit UNT students. They also host hundreds of companies that hold their interviews on campus for both full-time and internship positions. In addition, they host events such as the Suit Up professional clothing drive, Etiquette Dinner, Take Flight Job Shadowing program and Internship Week, among other smaller programs. The Student Employment team manages all of the aspects of on-campus student employment, as well as works with off-campus employers that are seeking UNT students for part-time work while they attending the university. They also host developmental workshops for all student employees and campus supervisors, as well as host the Student Employee Appreciation Party in the spring. As director, Naegeli plans to expand the hub and spoke model of career services to more UNT colleges, which includes the centralized Career Center office and career services/advising offices in the academic buildings (there are currently offices in Discovery Park, Business Leadership Building, General Academic Building and at New College at Frisco); increase communication and collaborations with faculty and staff across campus; reach students earlier in their UNT careers to assist with career exploration; increase and formalize internship and other experiential opportunities for all students; and offer career readiness (professionalism) training to students. For more information on the Career Center, visit http://studentaffairs.unt.edu/career-center.